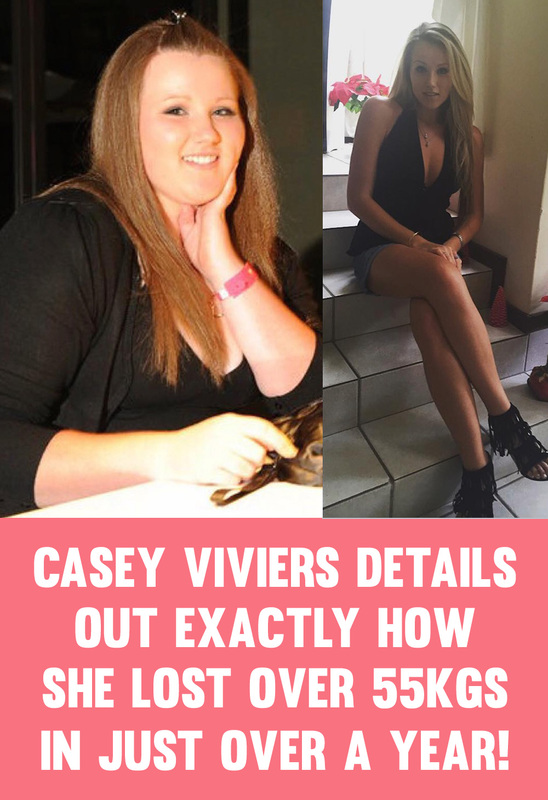 Casey Viviers managed to lose an incredible 55KG (or 120 pounds) in just over one year following the plan she details out below. It all started when she had to withdraw from a fashion show when she realised none of the clothes would fit her. 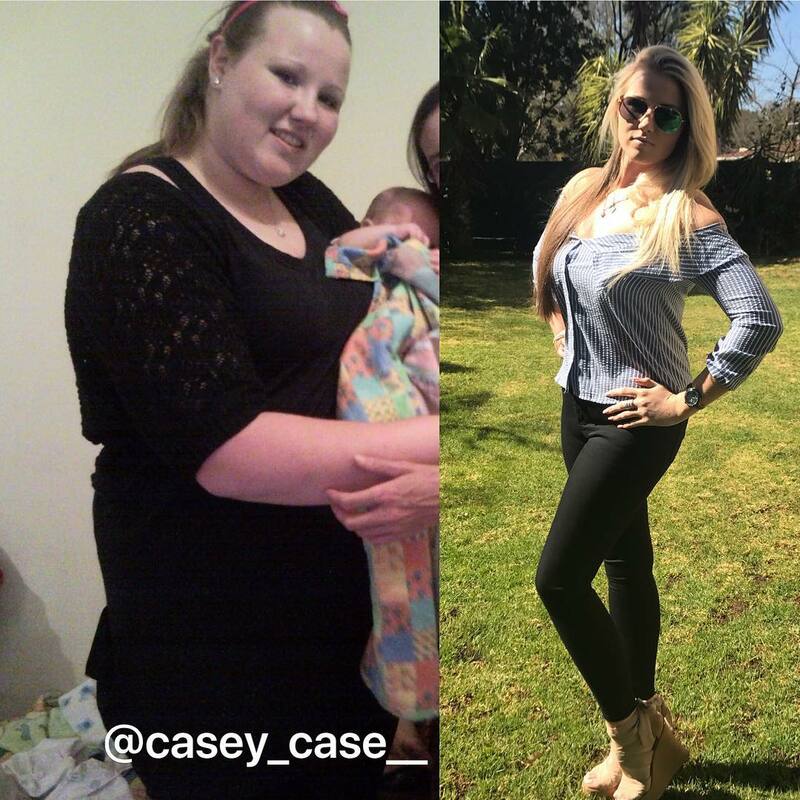 Casey was kind enough to answer our questions on how she turned her life around, the exact training and diet she used to transform her body and how you can follow in her footsteps. 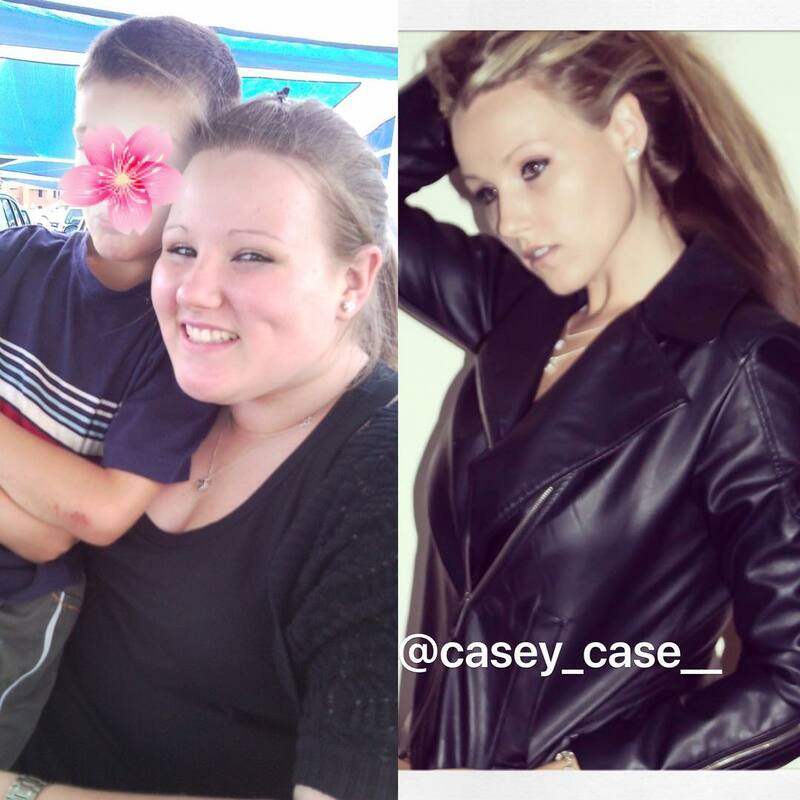 Be Sure To Follow Casey On Her Instagram: @Casey_Case__ And Facebook: Casey Viviers! My diet now has evolved to low carbohydrates, low GI and healthy carbohydrates. I no longer take sugar in tea or coffee, I have incorporated a lot of salads with my protein instead of carbs. I have more fruit and less junk food and I have cut down on my portions and dramatically decreased the amount of fat in my diet. Mid-afternoon: Cucumber and carrot sticks with low fat Hummus. To Drink: Green tea, Black Coffee and lots of water with lemon slices. My weekly work out routine consists of alternating cardio and weight training rotation days. I tend to focus on achieving an all round body work out rather than particular days for working particular muscles. I also like to incorporate certain classes into my weekly workout such as the Shape Class which is an overall body workout class offered by the gym I attend. This helps to keep my training fun, different and exciting. Its important to listen to your body and I usually have a rest day when I feel my body needs it. My turning point that got me started on my weight loss journey was in the beginning of 2011 when we began rehearsals for the much-anticipated grade 11 fashion show! This was a fund raiser we did at our school where we would have sponsored name brand clothing to wear for a fashion show which helped us raise money for our prom/matric dance. I thought being a part of the last big thing in high school would do me good, however when I realised that I was too big to fit into any of the beautiful name brand clothing – I decided to bow out gracefully. I decided that by my matric dance I would be slim enough to wear the most stunning dress and feel like a princess. I realised after bowing out of the fashion show that I was tired of being treated like an outcast and the feeling of being absolutely worthless! 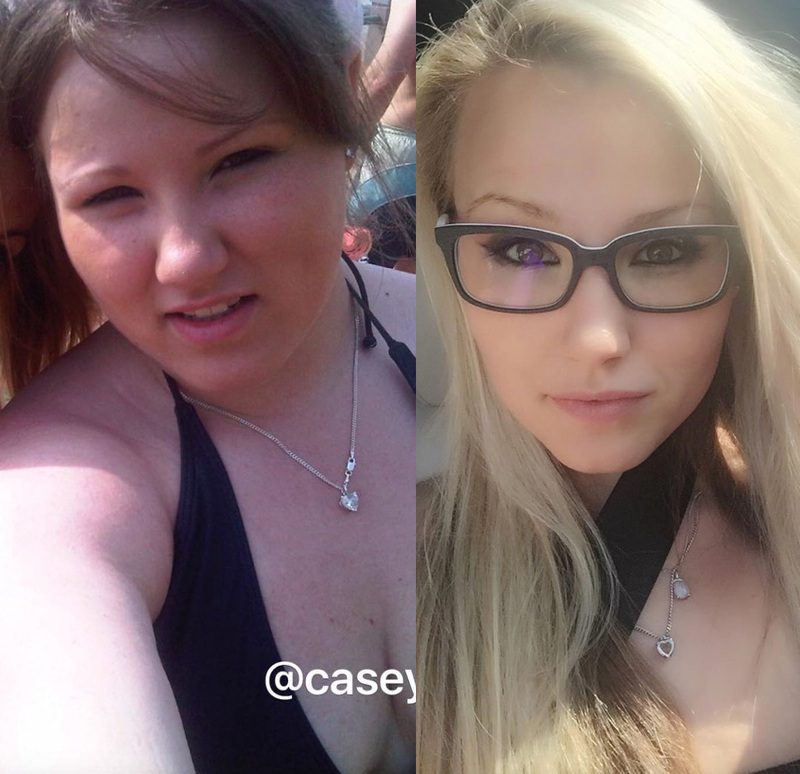 I began to hate myself and how I looked. I felt that I would never fit in or be good enough. I felt ugly and embarrassed. I knew that I had to make a change for my own happiness as well as my health and wellbeing! Another big wake up call was no longer being able to fit into my school uniform. Our school uniform was any black pants, the school shirt, school hoody or blazer. I would always wear the school shirt and oversized hoody to ‘hide’ my body. Little did I realise, it only made me look bigger. I would wear the hoody throughout summer and I would get extremely hot. I thought that if I could get a comfortable size in my school shirt then I could do without the hot and oversized hoody. I had the biggest shock when I could no longer fit into the biggest size shirt in the MENS department of my school uniform! This killed me as a person as now I realised I had to face the hard question from peers and teachers as to why am I not wearing the correct uniform? For a while I was constantly under question and in the principals office for wearing stretchy leggings – because that’s all I could find to fit me – and an oversized white t-shirt – once again the closest to the white school shirt that fit me. This absolutely broke me down as a person. 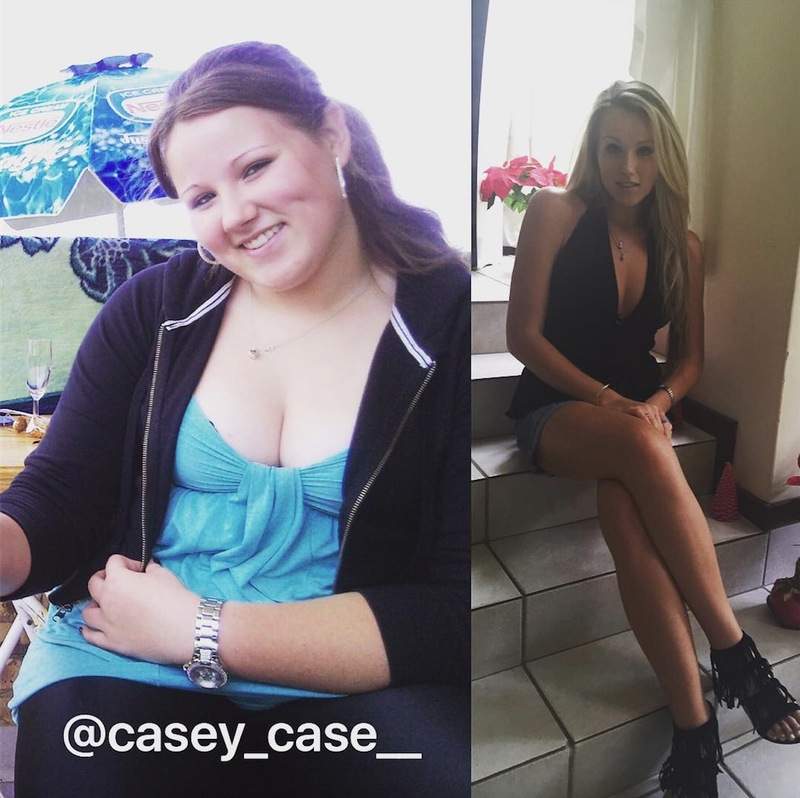 Diet was a four-letter word that only made me want to eat more and that is why I did things my way and it worked! Everyone is different so I find that instead of following a diet that someone else has planned out for you, you should plan your own with the healthy options, this way its something unique that you will hopefully enjoy and keep to. I see it as a healthy lifestyle rather than a temporary diet. 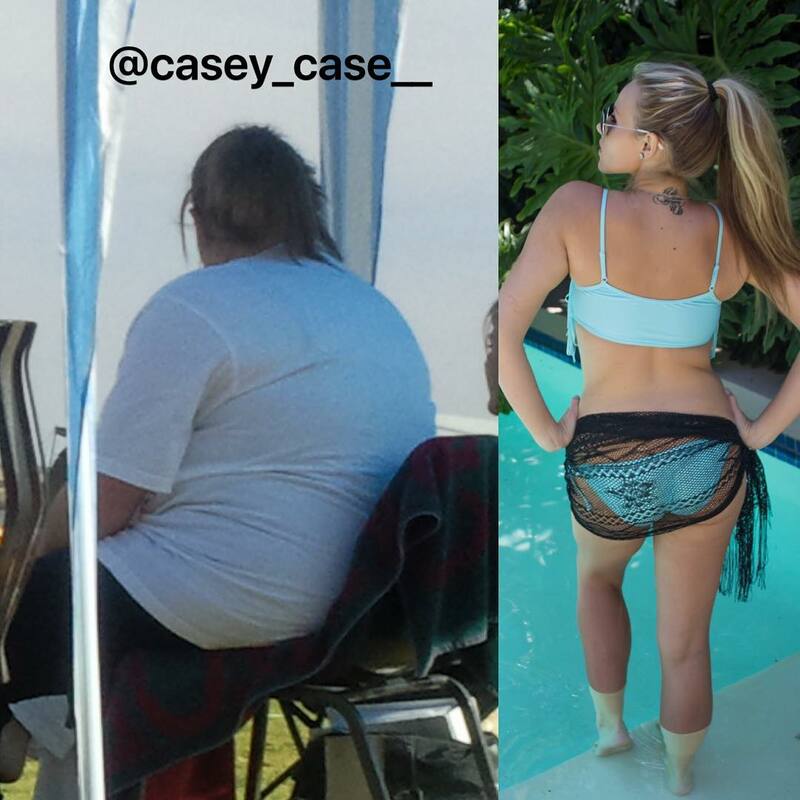 I have always had an interest in Health and Fitness and my weight loss journey only made my interest increase. 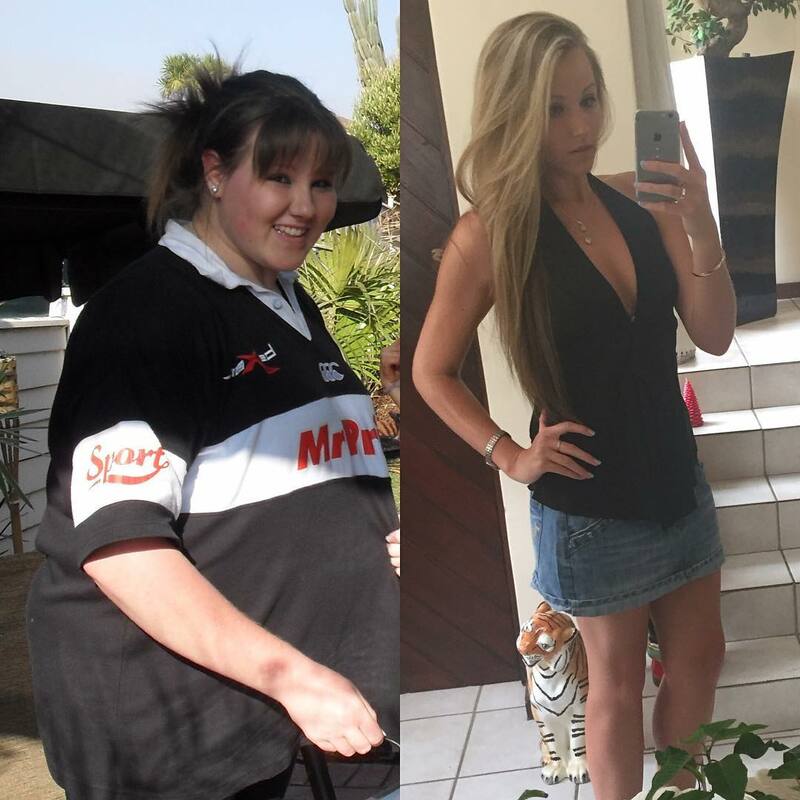 I had no help from Dieticians nor trainers along my journey which is how my interest in health and fitness became stronger. I believe if you do your own research and create your own plan you are more likely to enjoy it and stick to it. My beginning diet consisted of high carbohydrates, extremely high fat, lots of cooked meals, lots of sugars and portions that were far to large. When I was at my heaviest of 125kgs, my diet was shocking. I loved food; it was the one thing that honestly made me feel good and happy – until I looked in the mirror. Lunch At School: What ever I felt like from Nino’s (our canteen). This would usually be a penne bolognese each break – that was my favourite. Dinner: would be a regular family meal but concentrating on carbs and protein. I however would over do it by excessive portions and adding butter. Snacks: in between if I felt like them would be potato chips, chocolates or biscuits. In a nutshell, I loved food, I would eat whatever whenever. What made this all worse was on a day when I felt depressed, then my stomach felt like an empty hole and my cravings were never satisfied. What Was Your Training Like Originally? I didn’t exercise much when I was at my heaviest as my knees and ankles would take strain with any walking or running and in general my body took too much strain when I tried to be active – It felt like I was doing more harm than good. This is why my main concern at first was my diet and this is where I lost the bulk of my weight. Once I had lost the bulk of my weight I began to work out and my routine consisted of basic cardio and light weight training. 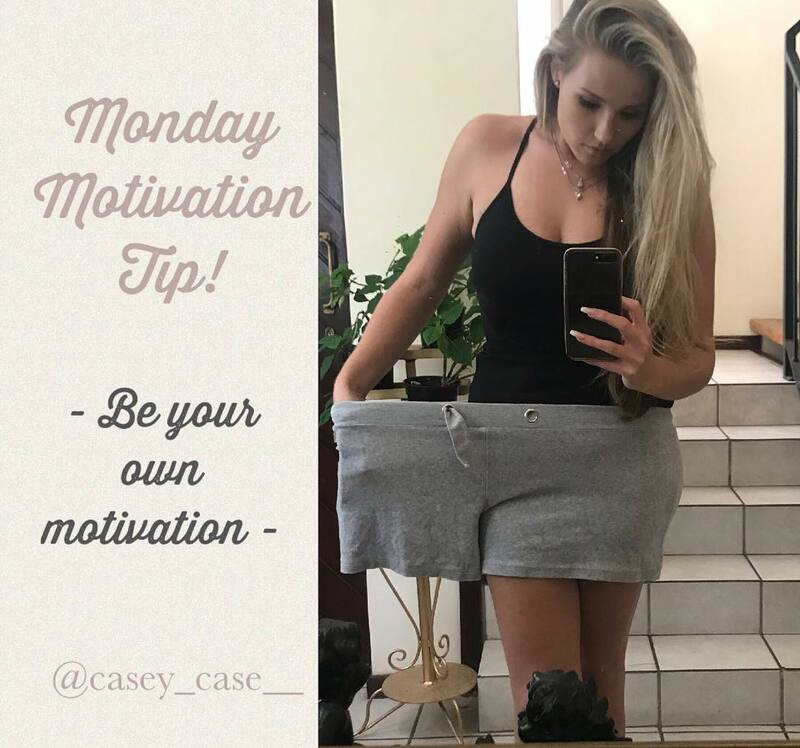 The first and most important step is your mindset, then your eating plan and exercise, then finally your motivation and determination to follow through and maintain your new healthy lifestyle. Your mind set is the most important, because without the right mindset the change will be temporary, you wont try hard enough and your attempts could all be for nothing. You have to want the change bad enough in order to be motivated to start, you have to believe that you can do it and that you’re stronger than your weaknesses. When it comes to your eating plan you shouldn’t view it as a temporary diet. If you want to maintain your goals then your eating plan and exercise should be viewed as a lifestyle change and something that becomes a part of who you are rather than something temporary. Once this change becomes a lifestyle change and new way of life, you will maintain your achievements because you will no longer want to go back to your bad habits and unhealthy way of life. Most definitely! Mistakes are what make us human and they are where our biggest learning curves happen. 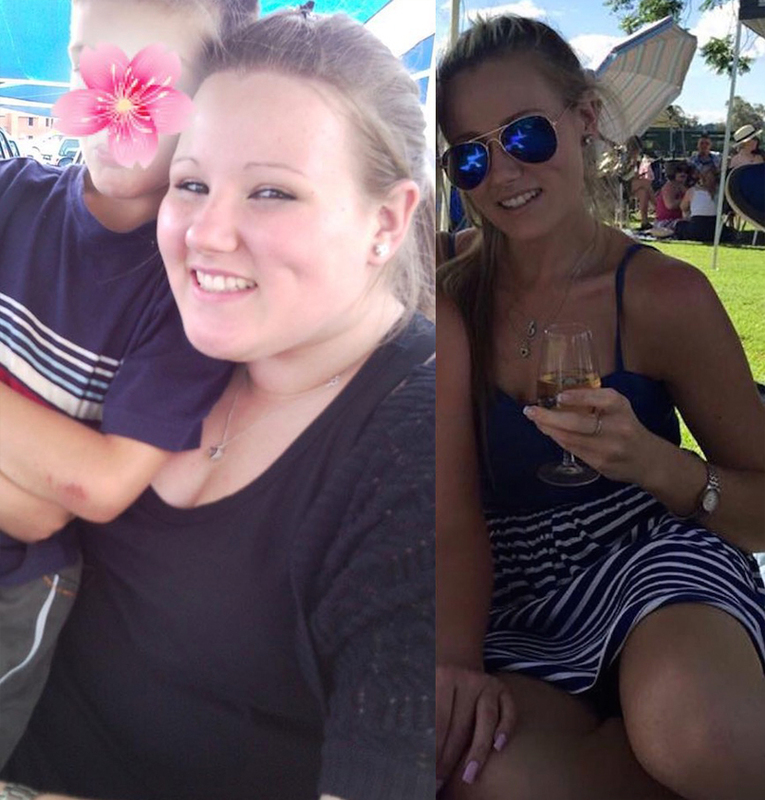 My biggest mistake was going too strict on my eating plan too soon and because of my difficulty to adjust to this I completely broke my diet, binged and had a complete cry and break down. Another common mistake is making this change to fit in. I have learnt that you should never do anything to please anyone else nor to be ‘accepted’ by people. I have learnt just how fickle people can be. You should be proud of who you are and if you want to make changes to your life it should be for the sole purpose of making yourself happy. I have also learnt that we never realise how strong we really are until we are put to the test. A big mistake is underestimating ones ability to achieve their dreams. It was tough! I had days where I just felt down and depressed and all I wanted to do was eat my feelings but what got me through those days was focusing on how badly I wanted to achieve my goal. 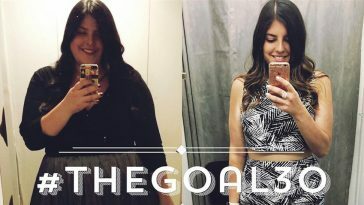 It was the best feeling in the world to get on the scale and see even the smallest amount of weight loss – it meant that I was one step closer to my goals than yesterday. It was amazing to feel my clothes becoming looser and looser. My sister would always wear the most gorgeous clothes; items I would long to fit into and it sounds strange but I would often put them up against myself while looking in the mirror and this would help motivate me to carry on. In a nutshell I would try to handle the bad days and set backs by seeing how far I had come and focusing on that achievement rather than the goals I had not achieved as yet. Were People Around You Supportive? People at school were not kind as they wouldn’t give me any encouragement or recognition by commenting on my weight loss. I was bullied a lot at school and the bullies would never admit nor recognise my achievement. They would rather continue to bully me by making false accusations and excuses for my hard work and dedication such as saying my weight loss was because I had bulimia or that I had weight loss surgeries. They would never just admit that I achieved something they could not. My family was and still are my biggest support system. They would continuously support me through the good days and the bad days. What Are Your Favourite Healthy Meals/Recipes? Home made healthy chicken and vegetable stir-fry with no noodles. The recipes for the above can be found on my Instagram page. 2. Remember that it is not a diet it’s a lifestyle. Diets are temporary but a lifestyle change will be forever. Making goals and creating ‘diet plans’ that are unrealistic will be setting yourself up for failure. There is unfortunately no quick fix. Take it slow – one day at a time. 3. Never underestimate yourself! We don’t give ourselves enough credit for what we achieve and we are so much stronger than we think. Believe in yourself and never underestimate your ability to achieve your dreams. 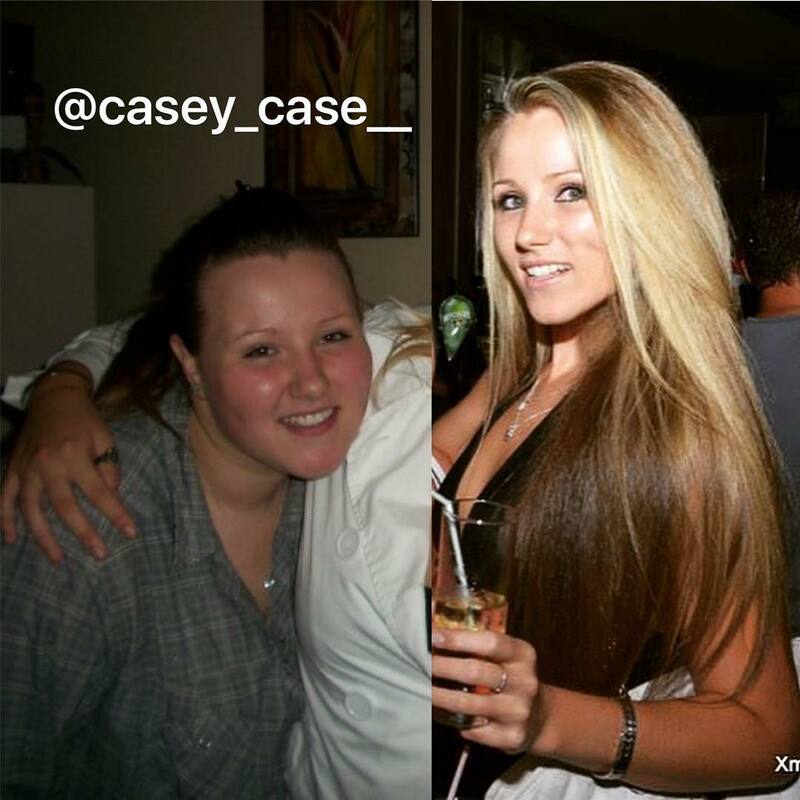 You can do anything you set your mind to! Please refer to “My Tips” above for more. My Motivation That Helped Me To Achieve My Goal. 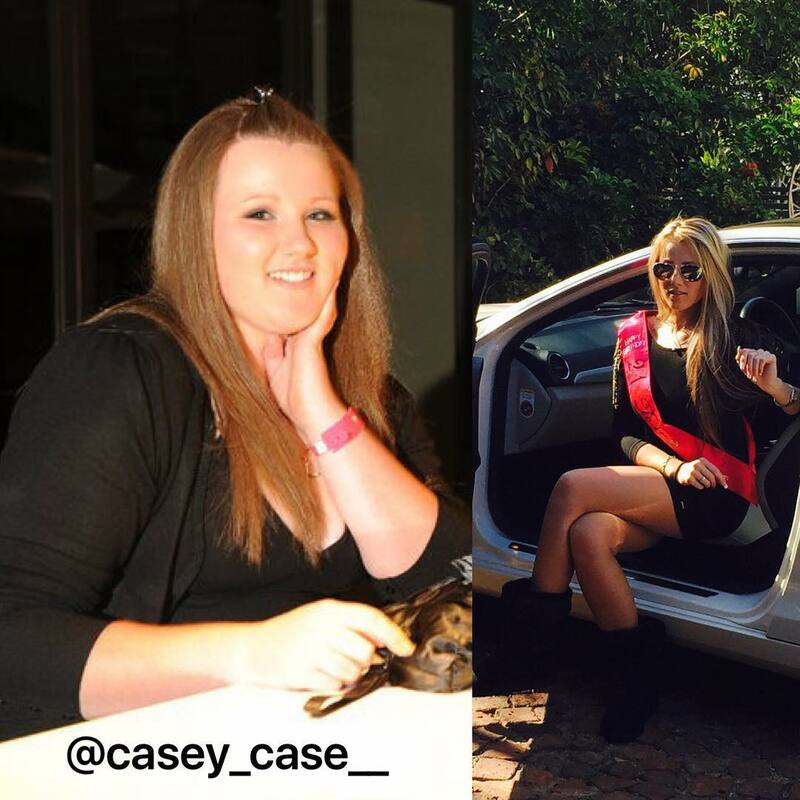 My biggest motivation was to be happy and feel beautiful. 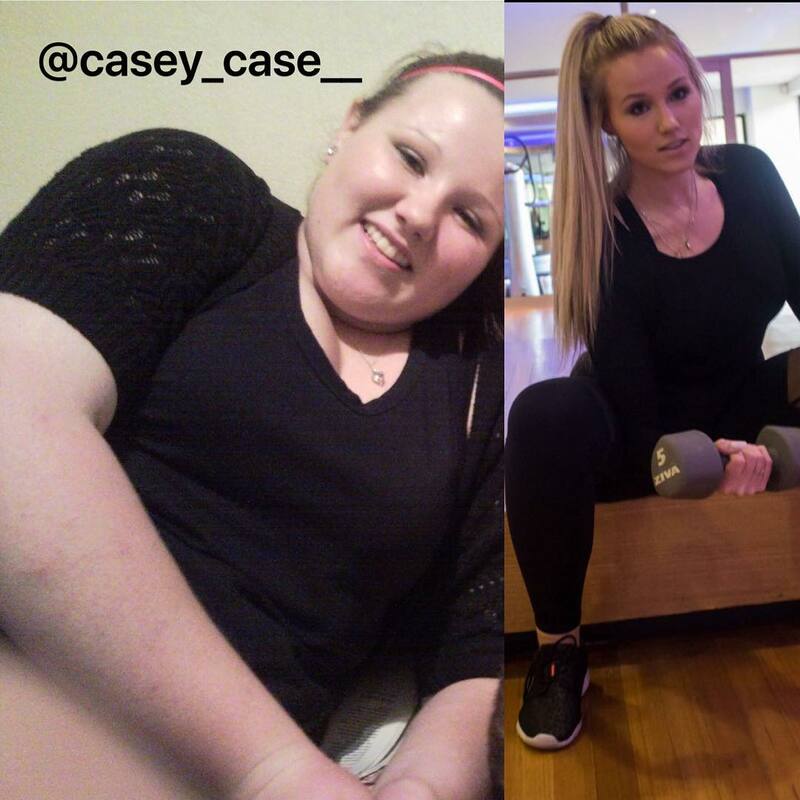 I wanted to not only prove to the bullies but mainly to prove to myself that I was strong enough to make this dramatic change. It was the best feeling in the world to get on the scale and see even the smallest amount of weight loss – it meant that I was one step closer to my goal than yesterday. It was amazing to feel my clothes becoming looser and looser and at this stage people would comment and it would make me feel on top of the world. 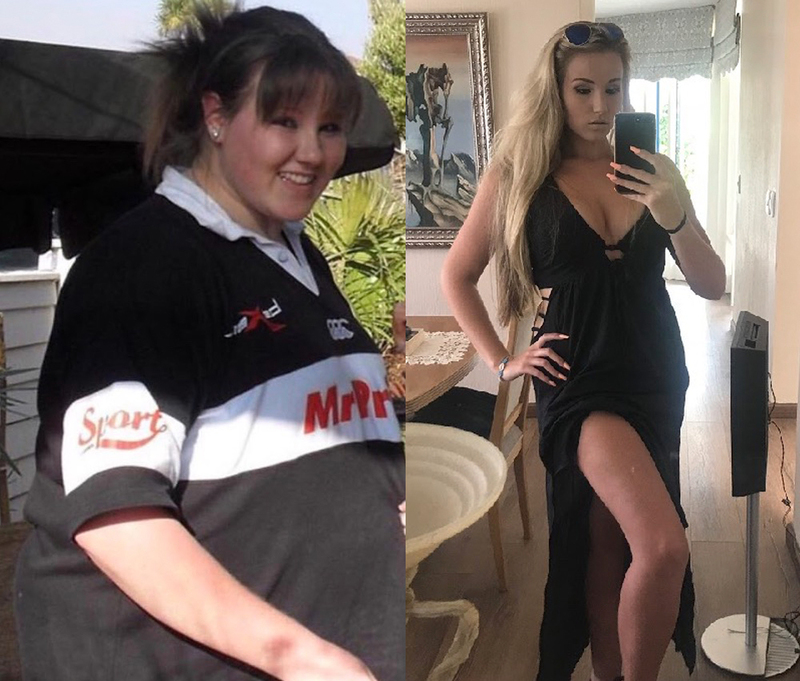 My sister is my role model and at the time of being overweight I would put her clothes up against my body and long to fit into them – my achievement now is actually wearing them and feeling amazing! She was and will always be my motivation. It has made me a stronger person and has made me realise how strong I am as an individual. It has improved my health and overall well being as well as my confidence. I am now more confident and happy than I ever was or ever thought I could be. I am able to do many more things that I couldn’t even dream of when I was 55kgs heavier. I feel healthier, lighter on my feet and I feel as though there is nothing that I cannot do. I have a healthier outlook to life and I have a greater respect for my body. Previous article 59 Super Easy Dinner Recipes That Will Help You Shrink Belly Fat! Next article 13 Crazy Kettlebell Workouts That Will Help Destroy Body Fat!